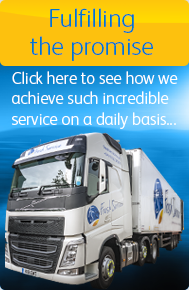 Fresh Service is based in Kent and specialises in storage and distribution of fresh produce. Our clients are worldwide growers, importers and exporters as well as UK based growers. If this role is of interest to you and feel that you have the necessary skills and experience, please send your application via email to soneil@freshservice.co.uk (unless stated otherwise) . We request your CV is in Word Format and please include the position you are applying for, in the Subject field. Where applicable, please ensure your CV includes the expiry dates of fork lift / pallet truck licences. – Thank you. Friday/Saturday or Sunday night Drivers for both Paddock Wood and Dartford. We have vacancies for energetic, career driven and preferably experienced Class 1/C+E Night Drivers. This will be to work at our sites in Paddock Wood, and Dartford, Kent. The position involves delivering Fresh Produce to wholesale markets across the UK. Sunday to Thursday or Monday to Friday plus sixth shift available.